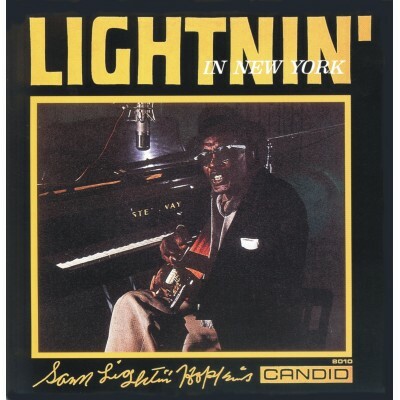 Sam Lightnin’ Hopkins went alone to New York in October, 1960. He had been in the city briefly for a few years before to record, but this was to be the first extended stay and his initial series of concert and night club appearances in the East. It was at this time that this recording was made in featuring Lightnin’ on piano, guitar and vocals (he even does all three simultaneously at one point!) In this album, he has continued to illustrate how fresh, personal and surprising the blues still can be when they’re moulded by so strong and confident a source as this man from Houston.